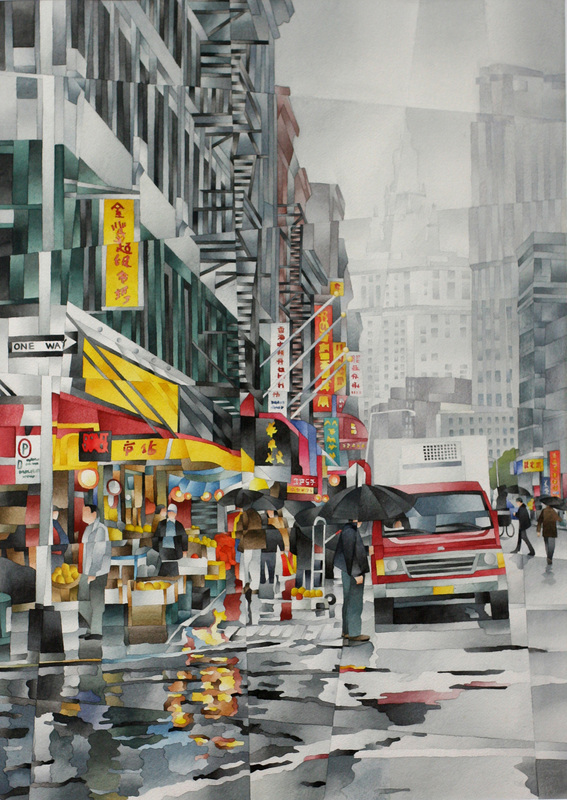 June loves to paint the city. 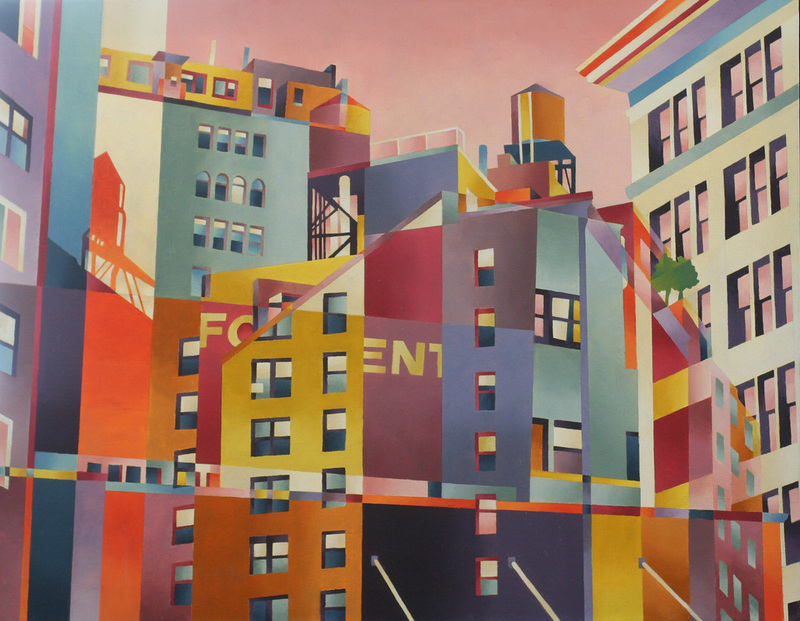 Using Cubist methods of underlying grids, overlapping images, and the extension of contour lines into neighboring shapes, June creates multi-faceted pictures that capture the underlying energy, excitement, tension and at times chaos of city life. 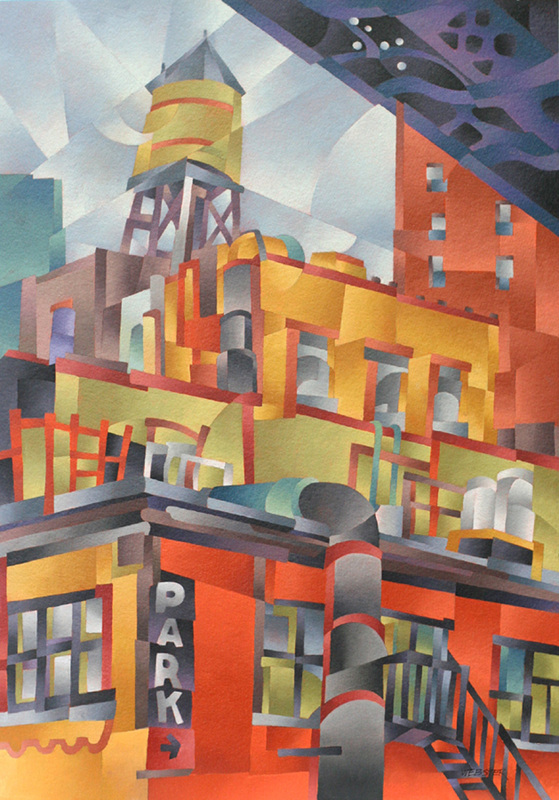 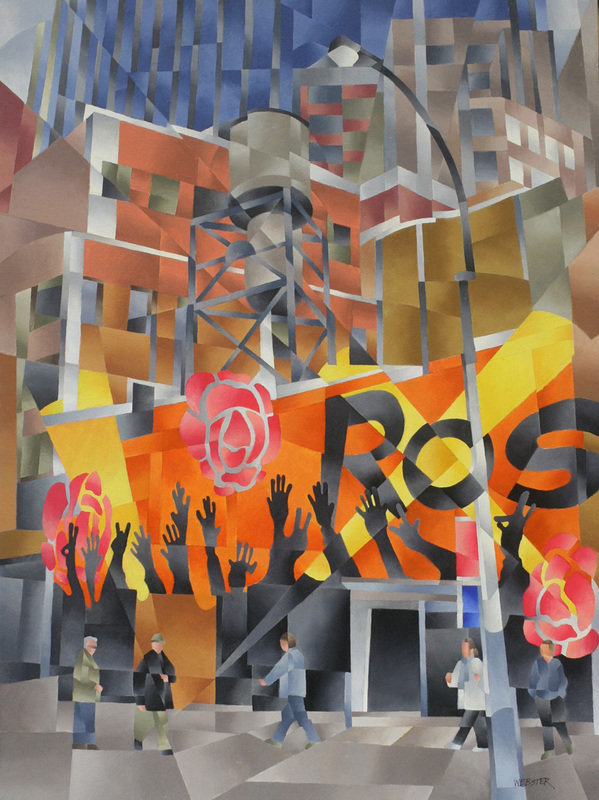 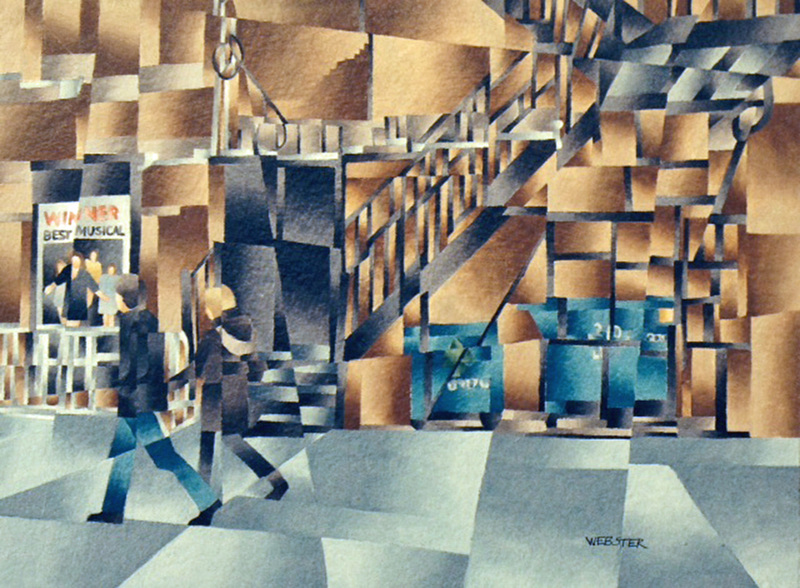 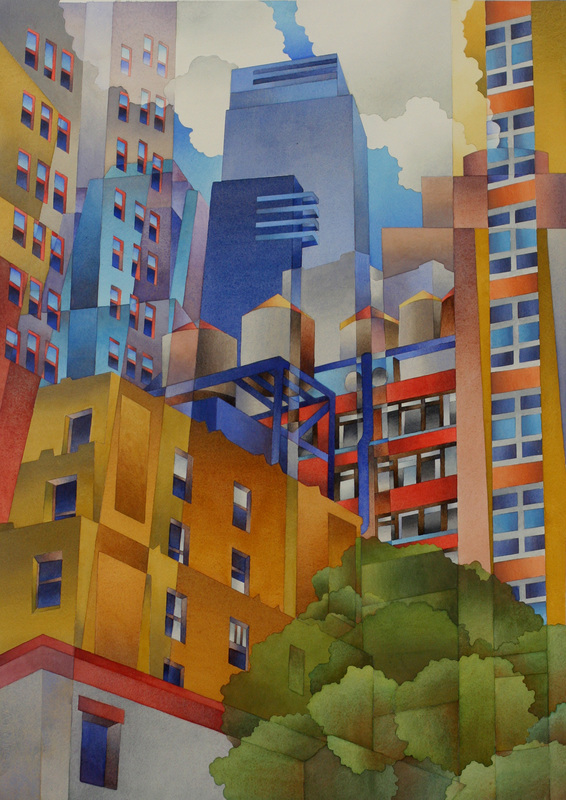 "Midtown", Watercolor, 22" x 30"
"The Stage Door", Oil on Paper,10" x 13"
"Walk-up", Watercolor, 22" x 30"